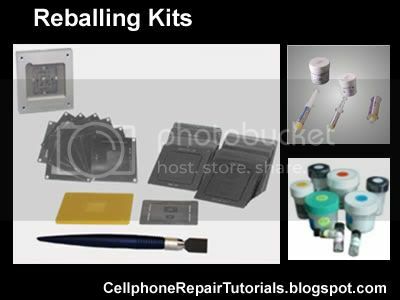 Re-balling kits are used to repair broken or weak soldered BGA (Ball Grid Array) Chips. 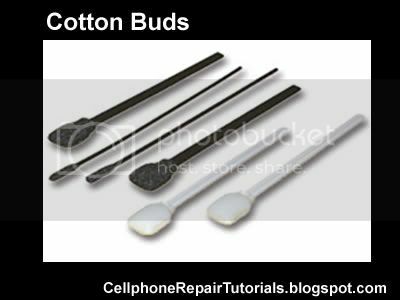 This is very important tools when it comes to hardware problem troubleshooting in various mobile phones. This is only being used when an IC or chips was being suspected having fault or causes the problem. 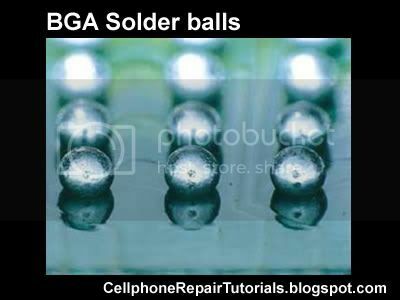 That is because Mobile phones used BGA (ball grid array) solder balls that holds as connection terminal of every chips. 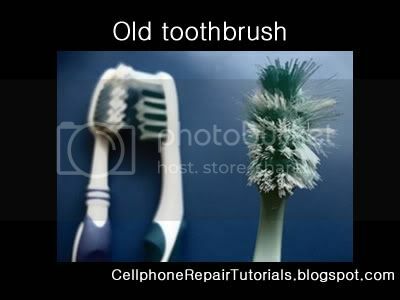 There are many kits you can buy via online this days unlike before that most of mobile phone technician was unable to used this kits for it was not too easy to find and purchase. The process is that they just remove the entire solder balls and flattened out the entire bump terminal then replace the chips again. 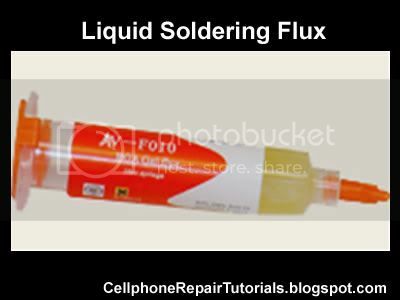 It may work but not totally effective as like for my years experience for the soldering process is too weak and easy to break , because the amount of soldered balls that holds the chips is not strong enough to hold it. Althought reballing IC's is not that easy for beginners to tackle to. it needs training and proper procedures to follow, further we will discuss the easiest way on how to reball IC chips. 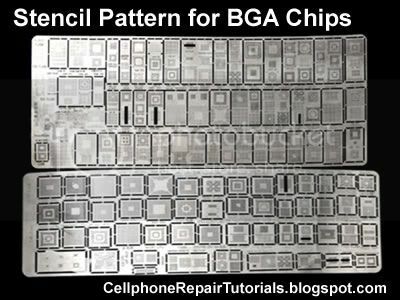 These are the kits you must prepare to be able to proceed in reballing BGA chips. 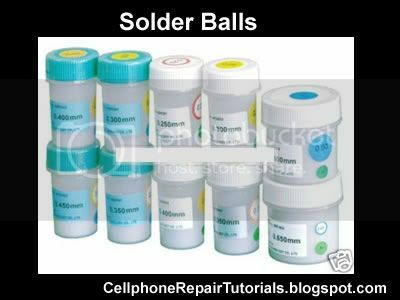 Solder balls have different sizes and measured by diameter,that match on every chips bumps sizes also. These are the common Soldering Ball diameter ranges for mobile phones chips. This is being used to properly align the solder ball on every bumps of the chips. 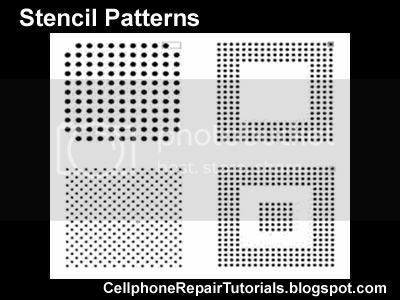 every chips have different bumps pattern and alignment designs. 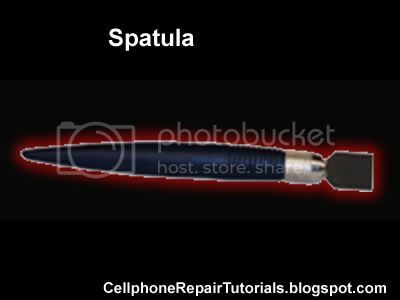 this is used to gathered the solder ball on each holes of the Stencil plates. 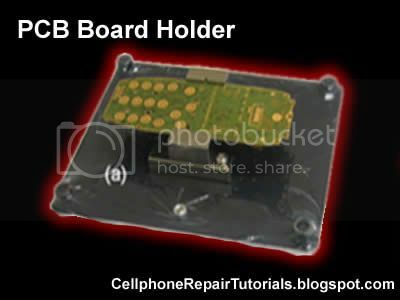 a PCB holder is being used to maintain the accuracy while working soldering and to avoid gripping and misalignment of solder balls. Too many cleaning product offered today that is non flammable. 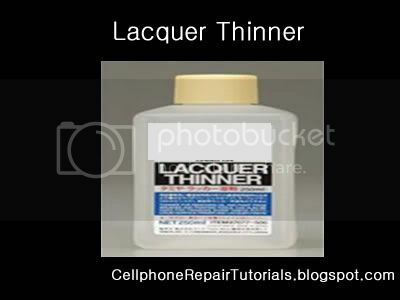 A lacquer thinner will work, and still widely used for many mobile phone technician. Thank you for nice tutorial. 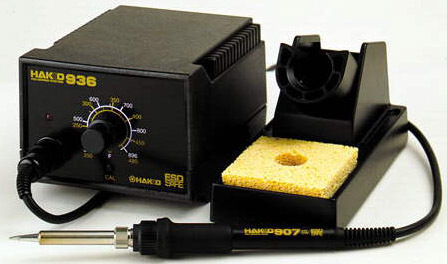 You just may add soldering station (iron and hot air gun).